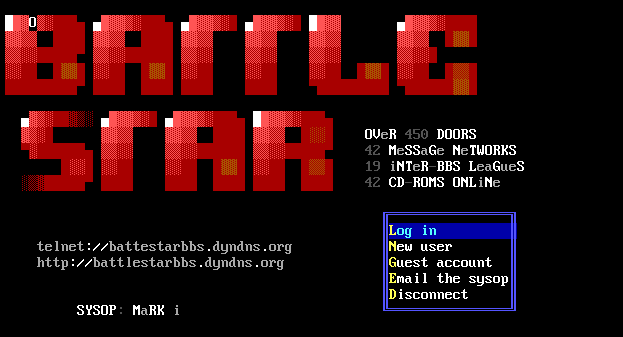 Battlestar BBS is back stronger than ever! Over 35 message Networks & Newsgroups (Fidonet, DoveNet, Paranormal Net, GatorNet, etc.) We have over 400 door games and installing more all the time! 42 classic shareware cd’s online. 18 InterBBS Leagues! We are here for our users so if you want to see something added please let us know. 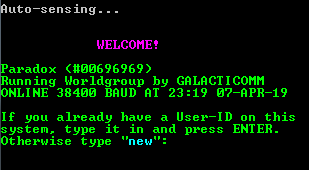 Connect to Battlestar BBS Now!